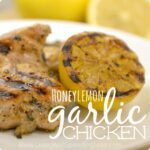 This simple but delicious grilled chicken is one of my family’s very favorite “cheater” freezer recipes. Even my littlest, who doesn’t normally like chicken, gobbles it up like she has never seen food before. I like it because it is ridiculously easy and makes almost no mess. My husband likes it because it involves the grill, which he would happily cook with every single night if he could. 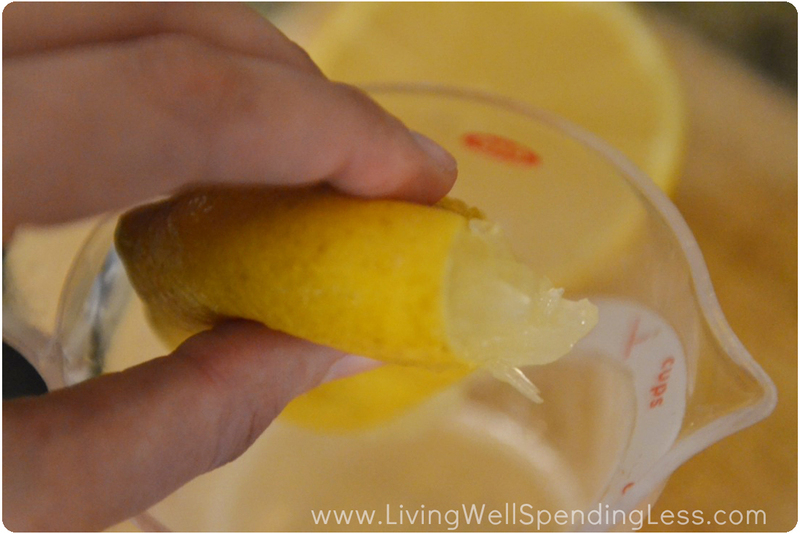 Step 1: Squeeze lemons to release 2/3 cup of fresh lemon juice. Step 4: Marinate chicken in bag for at least 30 minutes or longer, or press out air from bag and freeze. 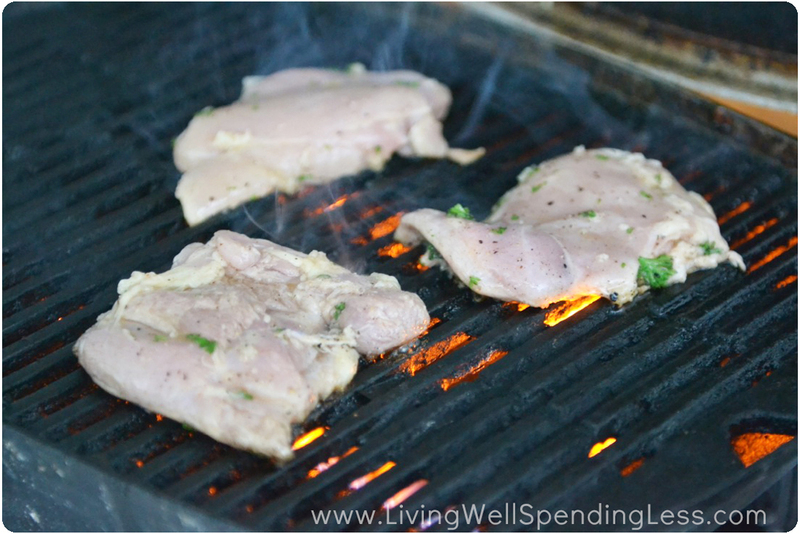 This simple but delicious grilled chicken is sure to be a family favorite! 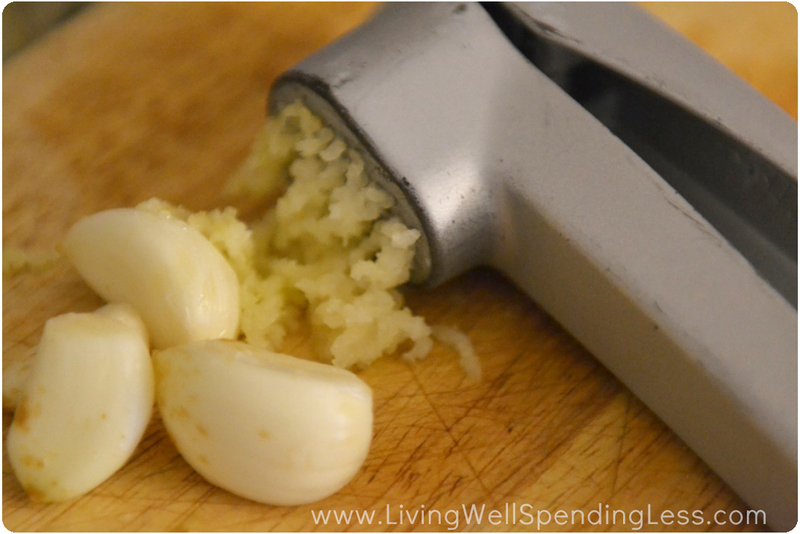 Squeeze lemons to release 2/3 cup of fresh lemon juice. 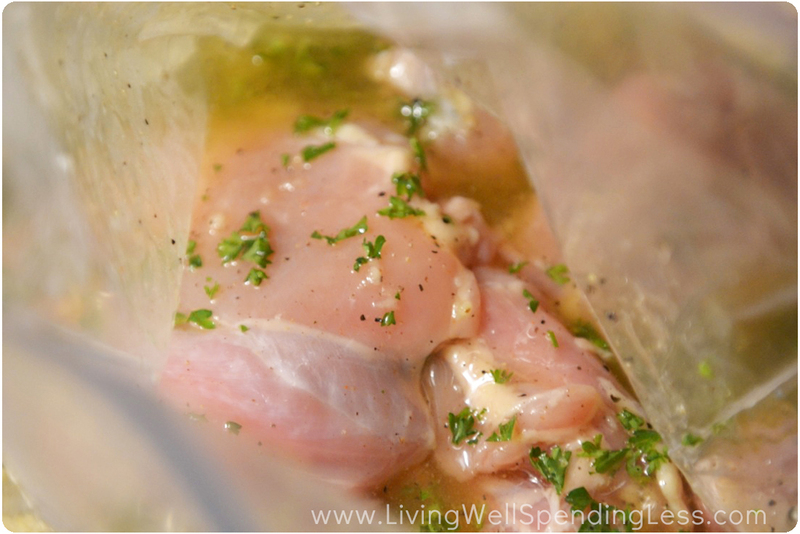 Marinate chicken in bag for at least 30 minutes or longer, or press out air from bag and freeze. You should factor in extra preparation time for marinating chicken. This looks and sounds so good. I love freezer cooking meals too! BBQ season is upon us… I can’t wait! Thanks for this recipe. I suppose I could pan sear the chicken if hubby doesn’t feel like breaking out the grill? Here’s hoping! 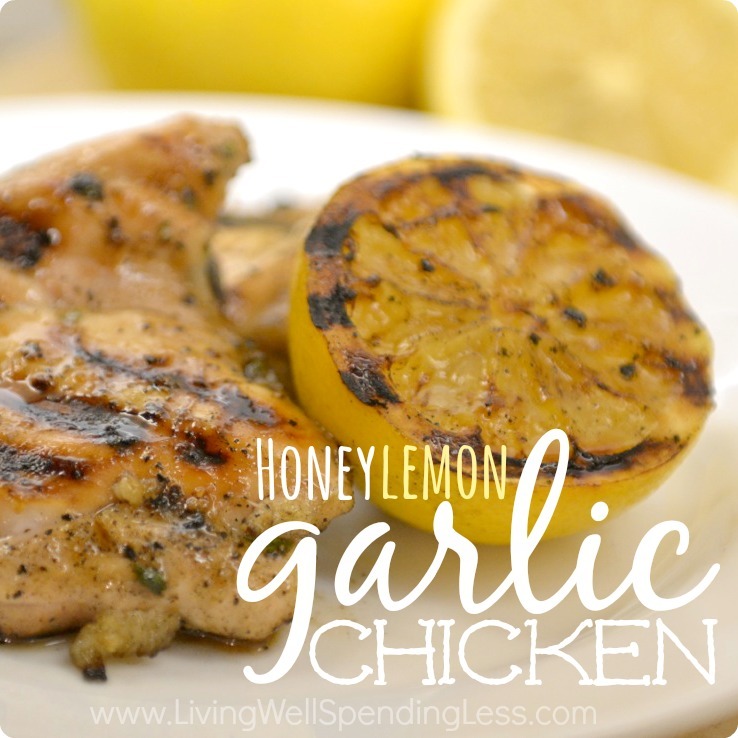 Love lemon chicken. Definitely going to be trying this recipe. Thanks for sharing Ruth! Finally found it again! I remembered reading the recipe a couple weeks ago, and then I couldn’t remember where I’d seen it. I’m so glad I found it again! 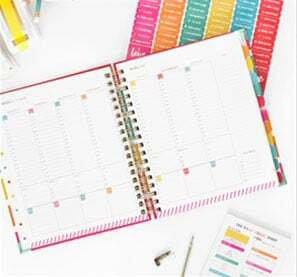 Made sure to save it to Pinterest this time and I will definitely be trying it soon! I tried this the other night and my family loved it! It was great with a little bit of reserved marinade poured over it when served. I actually added a little ground mustard to it as well and that gave it a really nice flavor! 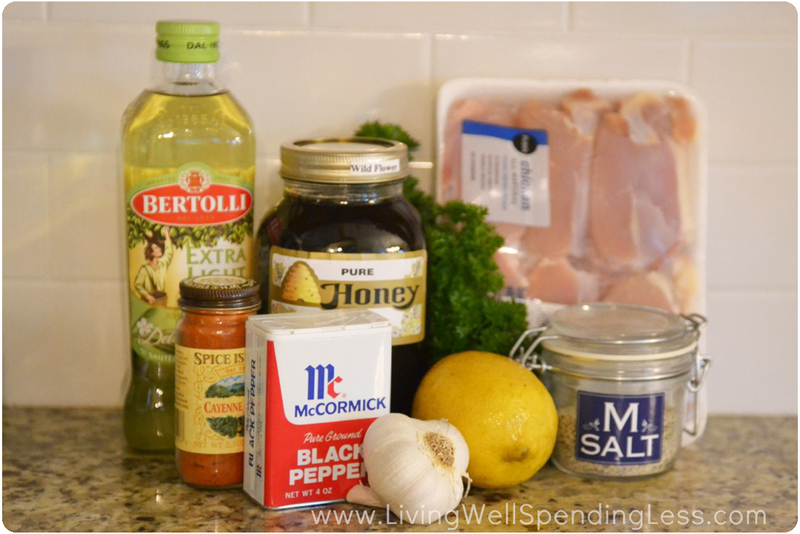 Be sure to use fresh marinade to serve, not the marinate the chicken has been marinading in as it will have raw chicken juice in with it. Can this be done in the crock pot instead of the grill? Grilled this on our new infrared grill. 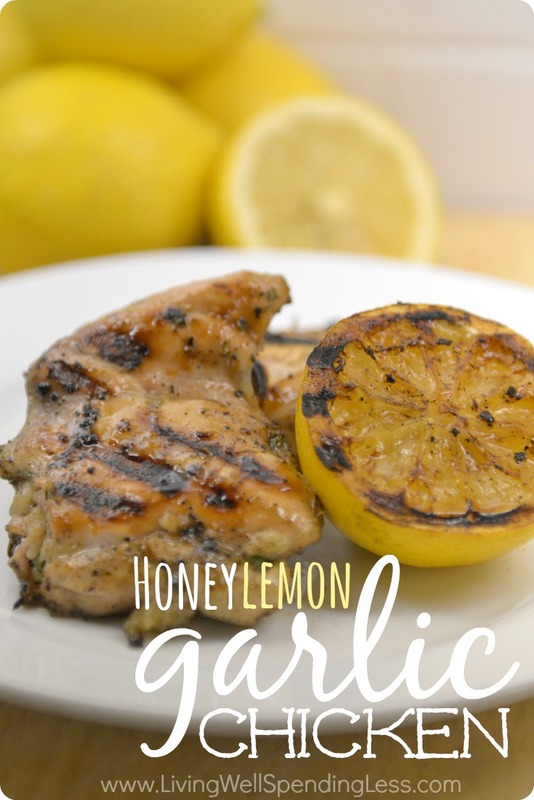 This is very flavorful, just right on lemon and sweetness (not overpowering). I used boneless breasts and thighs and both were very moist. Marinated meat for over an hour. Thank you for the recipe , it will be a favorite. We had this tonight for dinner and it was WONDERFUL!!!!! You can taste the honey and the lemon in every bite. Yum, yum! I have this pulled out to cook and its raining. How would you do this if you didn’t use a grill? Pan sear or bake? would you cook it in the marinade? It looks to me like you make your own seasoned salt. Have you shared that recipe somewhere? Thanks! 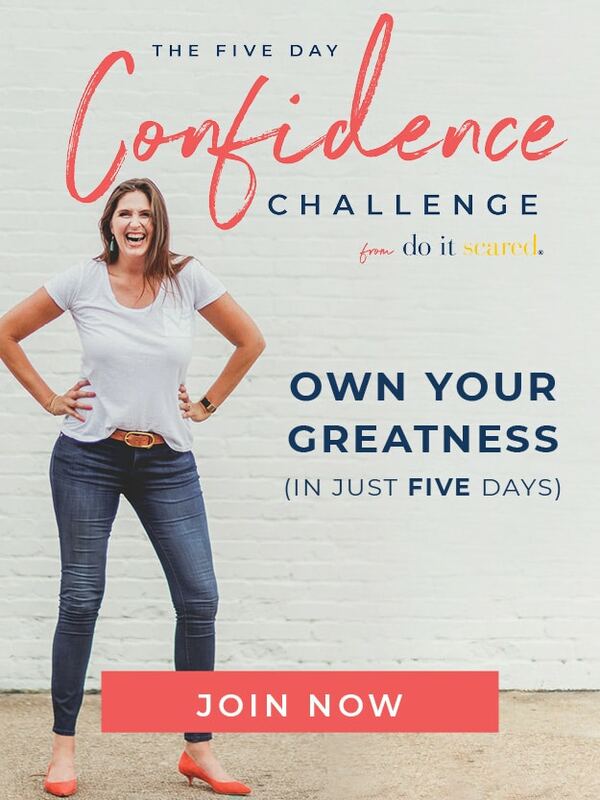 This sounds AMAZING, but my hubby is a diabetic so that much honey is a no-no. Can anyone suggest a way to make this with an artificial sweetener like Splenda, maybe? Hi! My husband is diabetic also. I like to use Agave as a substitute for sugar or honey. It is low on the glycemic index and is sweeter than sugar per serving. 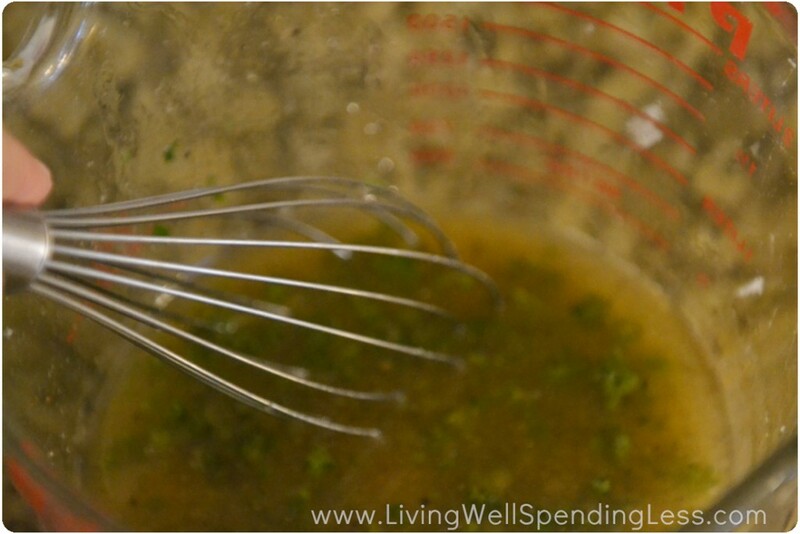 So 1 tsp of sugar would be about equivalent to 1/2 tsp of Agave. Like everything, use it in moderation. What are your “go-to” sides for this meal? Several comments ask about methods other than grilling. Could you provide suggestions for baking in the oven, using a crockpot or instapot or pan frying methods?